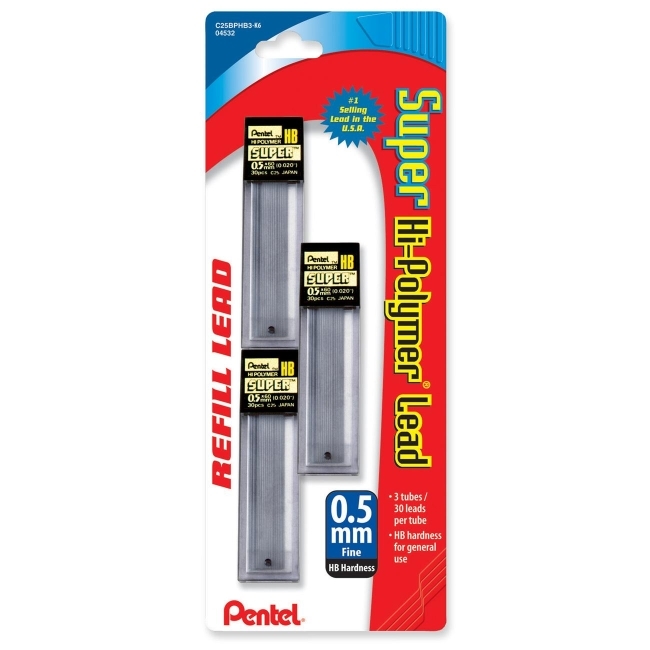 Super Hi-Polymer Leads are designed for automatic pencils. Patented manufacturing process provides greater lead strength, a darker line and minimal breakage. 60mm length.